Anatoly Iksanov oversaw a six-year reconstruction of the Bolshoi’s historical building, but his 13-year long stint also coincided with a series of internal conflicts. 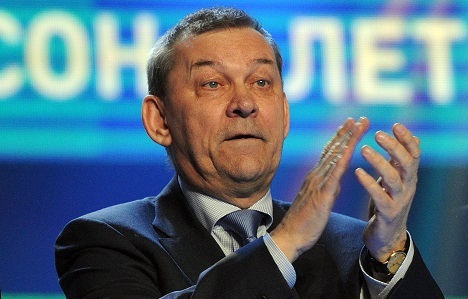 The Bolshoi Theater’s director general, Anatoly Iksanov, has been sacked and replaced by Vladimir Urin, Russia’s Culture Minister Vladimir Medinsky said on Tuesday. The Bolshoi is mired in corruption scandals and battling the aftermath of an acid attack on artistic director Sergei Filin. “If you look at the big picture, this isn't just throwing acid at [my] face, this is throwing down the gauntlet to the whole of our society,” Filin, said after the attack. Recently, ballet star Nikolai Tsiskaridze left the theatre. Iksanov has held his post since September 2000, and oversaw a six-year reconstruction of the Bolshoi’s historical building in central Moscow. His stint also coincided with a series of internal conflicts. The Bolshoi slipped into chronic decay amid the economic turmoil of the 1990s that succeeded the collapse of the Soviet Union. In recent years, the government has invested heavily in restoring the theater's interior and its annual budget has now reached around $120 million. The rush of cash has ensured the return of opulent productions, but has also turned the Bolshoi into a nest of vicious infighting. In May, authorities charged male ballet soloist Pavel Dmitrichenko with ordering an acid attack on Filin that left him with third-degree burns to his face and eyes. Urin, who comes to the Bolshoi following a theater career that spanned 40 years, was previously the director general of the Stanislavski and Nemirovich-Danchenko Moscow Academic Music Theater, a post he has occupied since 1995. Urin also oversaw the reconstruction of his theater and was widely seen as helping improve its reputation.